Put “Angels” and “Italy” in the same sentence and one normally goes straight to visions of Michelangelo’s cherubic winged beings who float around the famous fresco ceilings of Rome’s Sistine Chapel. Well, in March 2017, Canada’s Trade Consulate put together a different variety of “Angels”. 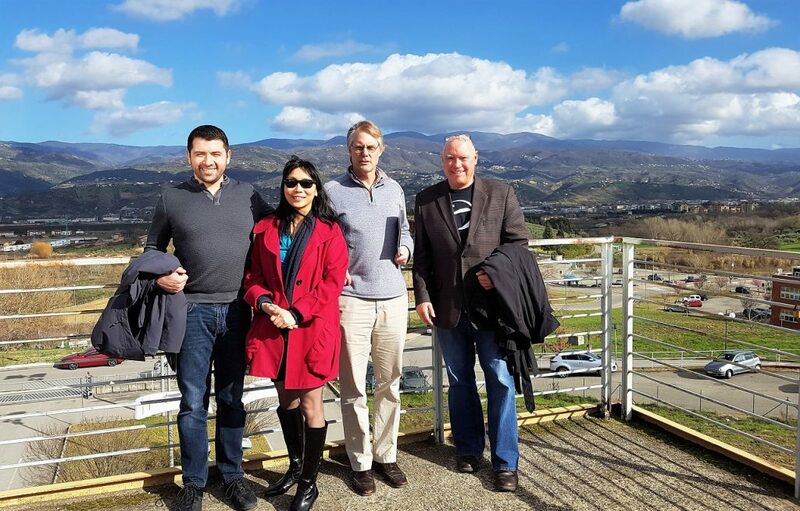 Invited by the Italian government, a delegation of Angel Investors from across Canada joined over 100 investors from around the world to descend into southern Italy. The goal? To investigate the best of southern Italy’s burgeoning start-up tech scene. And so, in the very week that Mount Etna was gearing up to erupt, investors and early stage companies gathered to actively harness synergies and untapped potential amid the flow of aligned entrepreneurial minds. While investors might normally venture into northern Italian cities like Milan, known as the country’s centre for business, the 3-day conference took place further down the boot in Sicily’s Catania region generally thought of as an economically depressed area. But Catania, as our angels discovered, is actually very much alive with engineers and clean tech companies. All ripe with potential. So, enter the league of international Angel investors keen to help and ready for unexpected opportunities to present themselves. “We each ended up meeting with a minimum of 10 -15 companies”, says Colin Webster, CEO of Hero Ventures Ltd with an investor’s passion for seed and early stage funding. “I saw a wind machine, I saw a bamboo bike; a little more hands on types of companies because that is the European style. The big push in the market right now is artificial intelligence“. As Yuri Navarro, Chief Executive Officer and Executive Director of NACO, explains: “It’s just that they are in a different reality and paradigm because they don’t really have the investor community that we can rely on in Canada”. One way to work your way into Canada is by way of introduction as Colin, whose heart lies in the art of helping new companies find their footing, attests: “These start-ups, especially in southern Italy, don’t get much exposure in the outside world. So between me and another 100 other people making intros to other people, that might be helpful to them. Which is what I have done”. However, making a connection come to fruition is not always as easy as a simple handshake. Despite the Italian government’s efforts to step up increased institutional funding and government legislation in order to facilitate international interest, start-ups in their early stages require a lot of attention. Add an ocean between investor and entrepreneur and you’ll most likely have a “no go”. So this begs the question: What is in it for Canadian investors? Thealzel Lee, a BC Angel Investor, approached the matter from a different vantage point: that of President and mastermind behind E-fund: a VCC company that houses portfolio companies under one investment umbrella. For Thealzel, partnership is the answer. Not just start up investment capital necessarily. For her, the Italian trade mission was all about being on the lookout for potential synergies between Italian companies, E-Fund’s portfolio companies, and the companies that pitch at the Vancouver Angel Network that she helps manage. “For example” Thealzel explains “in our portfolio we have a hospital supply company. I saw a medical company [in Italy] that was making a different product, however, it was targeting the same orthopedic market that our company was going after. So maybe, they could share a customer list? In other words, the Italians might be accessing a whole target segment that our companies want to target but don’t have any means to do so. So by hooking up with the Italian company, they can gain access to that customer base”. Also, business done by means of contacts and conversations; meaning travel is less of a barrier between investor and company, or company and company. And then, there is technology like “AI which only requires data manipulation and computer power and can be manipulated from anywhere in the world”, says Colin. For Yuri, who knows that supporting start-ups and building networks into international markets is absolutely necessary for the companies to become global, “The hope is that we will get some companies to come from Italy with some investors from Italy to the NACO World Angel Investment Summit in October, and we will use this as an opportunity to build connections between the investors and the companies in Canada. There were quite a few companies that we ended up considering for further follow-on discussions and investment”. Thealzel, a self-described, non-micromanaging, match maker, sees more travel of this kind in her future: “I am always trying to connect our portfolio companies with other companies to make them stronger and more successful and if that means matching someone from Italy, then great. I’ve just created the situation. Now maybe I’ll go to another country like Colombia or Venezuela. Maybe they might match someone there”. As for Colin, who in the true Angel Investor spirit of “nothing ventured nothing gained”, ended up renting a bike to ride as close to a rumbling Mount Etna as possible, knows it’s all about supporting the start-ups. “If we are able to go to other countries like Italy and impress upon the governments there, who we saw a lot of, trade commissions and the organizers of those events, that it’s a good thing to grow these start-ups in international ways, it’s a beneficial thing for the economy and great for the world for sure”. Here is a list of the 121 Italian companies the participated Borsa dell’Innovazione e dell’Alta Technologia 2017 in Catania organized by sector. 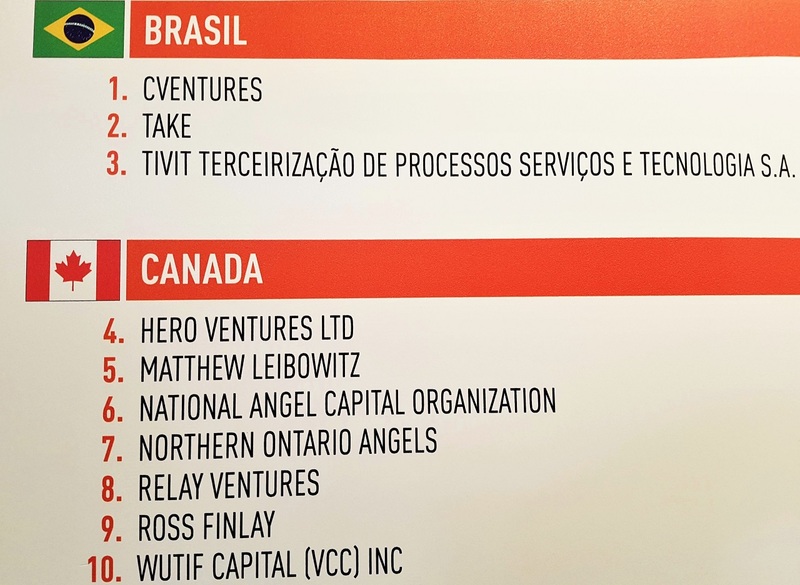 Seven Canadian angel groups joined 100 investors from around the world. WUTIF Capital was represented by Thealzel Lee of E-Fund. This year’s NACO World Angel Investment Summit, Oct 2-4 in Montreal, will host Angel groups from around the world. Check out the program and take advantage of the early-bird pricing.